The Battle of Killiecrankie, fought on the 27th July 1689, was the first major military engagement of the Jacobite risings. It was also the bloodiest, with around 2,700 killed in a clash of arms between Jacobite forces led by John Graham of Claverhouse and a Scottish Government army commanded by Major-General Hugh Mackay of Scourie. The battlefield is currently under threat with the dualling of the A9. The battlefield of Killiecrankie is the most atmospheric and evocative of any battle site that I have visited. For me, the atmosphere felt at Killiecrankie is amplified by the quiet stillness of the site and the lack of visitors and tourists that is in contrast to the more popular places of historic interest. There is an eerie feeling while walking the line where the fighting took place on that summer’s evening in 1689, a line that is, unfortunately, under threat with the widening of the A9 road into a dual carriageway. Despite being the first of the Jacobite battles in Scotland (with the exception of the skirmishes at Loup Hill and Knockbrecht), there has not been as much interest in the Battle of Killiecrankie when compared to the battles of the later Jacobite risings. Perhaps this is one reason that opposition to the widening of the A9 is not as loud as many would like, although having said that, Culloden and other better-known British battlefields are not safe from development work either. The vast majority of visitors to the National Trust for Scotland’s Killiecrankie visitor centre will not visit the actual site of the battle, with some perhaps assuming that the battle was fought in the Pass of Killiecrankie and not further along the road. The visitor centre features very little about the battle and on the battlefield itself, which is on private ground, there is a single information board erected by NTS and a memorial to the fallen, known as Tomb Clavers (not the burial site of Claverhouse), which allegedly stands on the spot where a number of officers killed in the battle are buried. The landowner has constructed a path and very kindly allows visitors to walk a section of the field and visit the memorial. 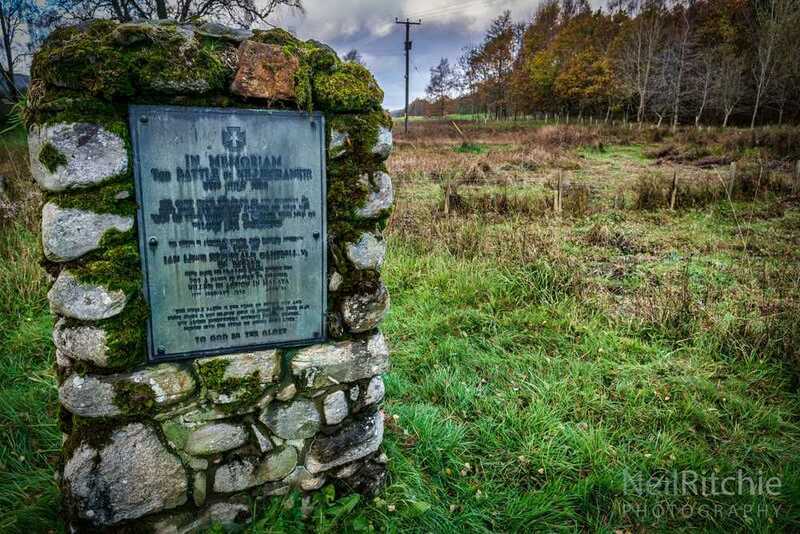 A number of issues and concerns on the A9 work were raised by local residents, historians and heritage groups, including the possibility of disturbing the graves of the fallen soldiers when the time comes to begin the Killiecrankie section of the A9 dualling. Although no human remains have been found in recent archaeological investigations, the vast majority of those who died here were buried on the battlefield. A couple of new books on the Battle of Killiecrankie and the continuing campaign to highlight concerns over the road development has helped raise the profile of this historically important site.